Do I understand this correctly? When you cannot hit a bird with a cal 12, you're going to try with bow and arrows? Just ordered one of these.....Bohning Feather jig. Been using the AZ EZ Fletch with decent results for over 10 dozen arrows. But it's not making good contact all over the shaft anymore and I've resorted to rubber bands to get good contact. I think I wore it out or warped the arms doing Flu-Flu's. The Bohning looks more substantial. And the arms open wider so using fast glues will be easier. With the AZ EZ Fletch and fast glues ya had to be quick or risk a drip and my hands shake too much for that jig anymore, it took two hands to glue it up. This new one has a nice base. And release tape in case I use too much glue- which I usually do. So well see. Anyone try the Bohning Feather jig yet? Usually it's BushyGrampyPants with the "stovey can't hit diddly" lines/digs/chops et. al. 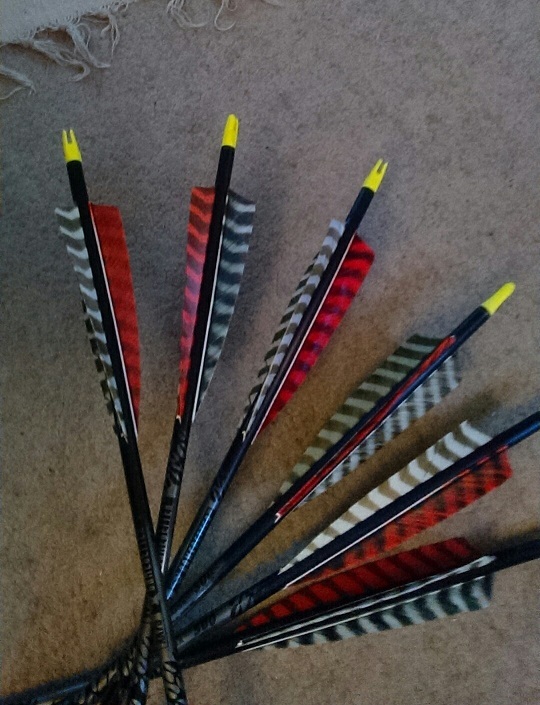 I buy arrows 'ready to go', fletched, fitted with a nock and tip. I don't plan on loosing any, but I know that's a bit ambitious. I still do if the price is right! Nice thing about having gear is if the feathers get knackered, you can fix it! So- going back to all alloy shafts. No more CF. My CF shafts have a lot of sessions on them. Inspection only goes so far. I was at a pistol match a while back. Heard about a CF shaft blowing up next door at the 3D range...or something like that. (GOOGLE same if you'd like a horrific shock- I won't post it here) I went yikes! I forgot I got 4 dz. of them at home sitting around. Last night I destroyed 3 1/2 dz of them. Yep -just like that. If they aint brand new, they got tossed. New ones get a Sharpie hash mark after a session. They get tossed soon. I never liked them anyways. Too spooky having a time bomb hooked to a spear next to my wrist. The new alloy shafts are a lot cheaper and way tougher than any CF shafts out there. They are also just as accurate. The EASTON GameGetter w/ a Super-nock is the best shaft ever made. PERIOD. So I glued up some goodies last night. LAS sent me some mini-bar shield cuts by True-Flight. Neat feather. Cept they only had 6 Orange and a dozen Trad's. So I did a reverse pattern- 2 trad's and one colored. Been using the EZ Fletch and it's past it's prime, clamping is spotty, so there were a couple re-do's. New jig is coming Monday. Got some nice colors coming too. Sorry for the crappy pic- the phone is stuck on "selfie"...freakin' PIA. Nothin like looking at myself first thing in the AM....brrr, yuk....who needs that??!! very nice looking fletches there bud...... how do you get on with dowel for shafts???? good solid wooden shafts should help with keeping arrow weight up for terminal preformance.....once upon a time fibreglass was the go!!!! 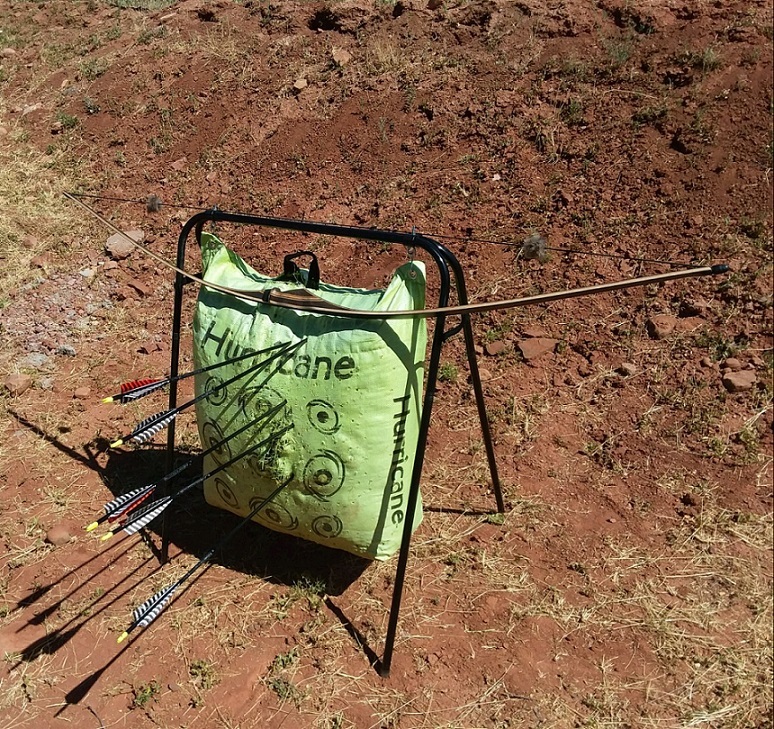 funny how things go full circle as guys are now going back to a slower/heavier arrow after the super lightweights of the last few decades have lost thier appeal. Ive read articles over here with guys taking thar and chammy up in the moutains with stick n string!!!!!! most mere mortals struggle to get within a couple of hundred yards of those beasties. Seen guys use dowels. Works a treat. But if you are not a super-expert on wood and grain direction I simply don't recommend them. They will blow up and gouge you if you get it wrong. 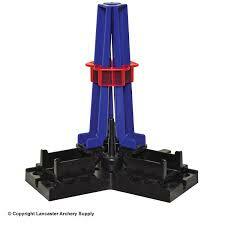 But they are a nice starting point for true home-made shafts after you turn them down some. Adjsutable end weights work very well now. 2- 25y in gusty, switchy winds. Time fer a new bag! 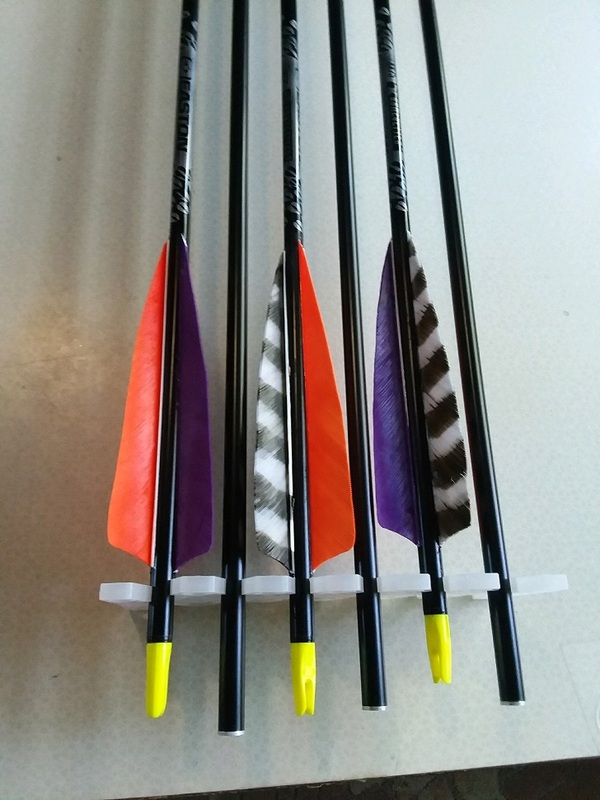 Good looking arrows, stovey! Plus you aren't hitting low anymore. Instinctive shooting is coming along. Tons of fun relearning it. Gave away my recurve. It was too small for me, it's stacked, don't like it anymore, now it has a new home. Just loving the buttery goodness of the LB's. Giggity goo!